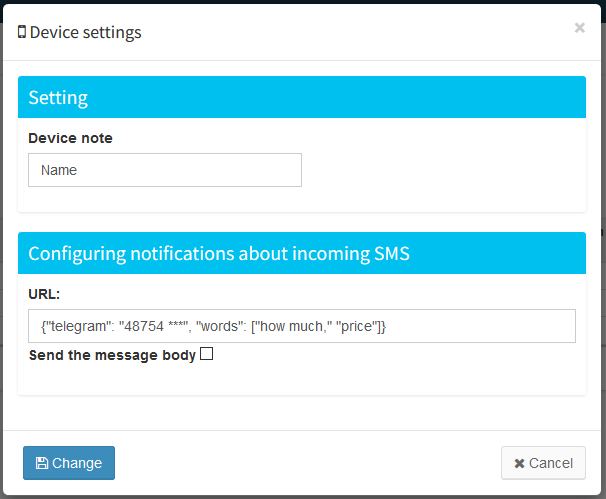 If SMS has been sent to the phone tied to the account, then the service can forward this SMS to another number or to the Telegram chat room. Also, it is possible to send if in sms the specified keywords are found! Enter the URL address in the field, the page for which you need to send a POST request with data on incoming SMS. To send all sms, the "words" field does not need to be specified!